#AugustBreak2013 Day 25 | The Tales of Missus P.
My theme was “Sunday Morning” but since I don’t get up on Sunday mornings, I just chose to use the photo I took yesterday with St. Nicholas Cathedral in the background. I took this from on top of the Tyne Bridge on our walk yesterday. Such a cool street there. To go along with the top of self vs traditional publishing, I went on #writechat tonight. Someone was saying that authors have gotten picked up by traditional publishers after their self published novel had done well for a couple of years. (Not any of the big names we hear about all the time, btw.) I’m not sure if it all has to do with the genre fiction that does better self published as well, but someone else was saying that they’d never self pub fiction, only non-fiction. I asked if their non-fiction had a smaller readership than their traditionally published fiction, but I didn’t get an answer on that one. So, the idea of small press came up. The first person who was selling self-publishing to me, said that small press can get you publicity and promotion. Fair enough, but I will go ahead and put this out there: I’ve seen some crappy looking books on small press websites. I even spoke with an author in a bookstore in Newcastle once who said their book was picked up by a major publisher. The book looked terrible and I felt embarrassed for the guy. If I were accepted by a small print press, I would run the risk of having a horrible looking book with my name on it. I think it brings me back to the bottom line. While I’m working towards perfecting a novel, the ones that I’m sure would not be picked up by a decent publisher will be done by myself. I can hire an editor, fine, and thankfully I have my illustrator and cover artist at home. I would rather have control over what I was doing, rather than have something janky sitting around at sad, local book events, making me wish I’d never bothered. Of course, the whole self promotion is something I don’t get. Everyone on Twitter hates tweets with “Buy My Book!” Someone told me to go to Tumblr, but amidst the Doctor Who and Harry Potter animated GIFs, I don’t know how well that will work either. But for the rest of Sunday we hung out at home. I got my word count quota in for today, and before dinner I played more Saints Row IV. I’m not digging the supernatural aspect of it. I like car games, so when I get through the initial quests, I’ll probably just mess around the world like I usually do. That’s always more fun. We also just watched Wreck-It Ralph. What a cute movie! I’m so glad Steve got me into watching cartoon again and learning how they create the stories. They’re always such good examples of strong characters, worlds, and storylines. Anyway, tomorrow is our Bank Holiday, so we may go out for a bike ride or a stroll. Who knows? 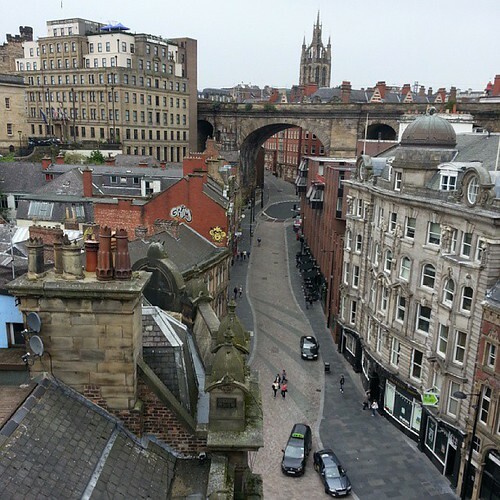 This entry was posted in All About Me, Books, Gaming, Movies, Publishing, Writing and tagged AugustBreak2013, fiction writing, Newcastle, self-publishing. Bookmark the permalink.